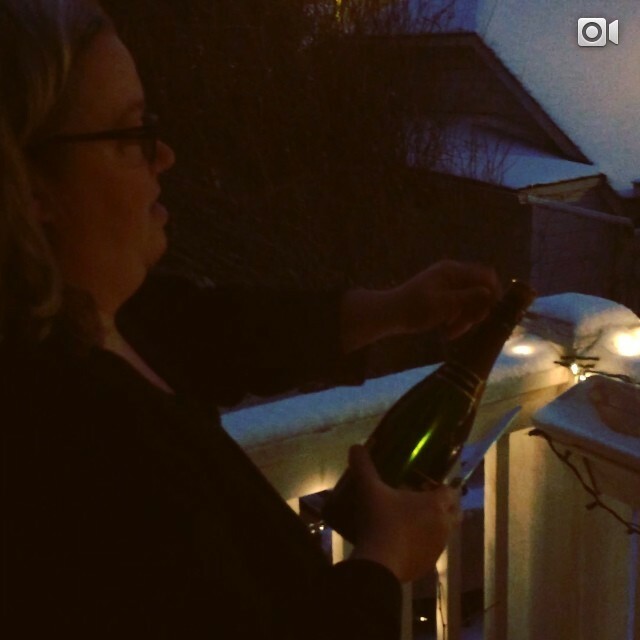 Comments Off on A Bubbly New Year! I tried the champagnes from Beaumont des Crayères. The first of their sparklers that I tasted was the Grande Réserve. This wine is 60% Pinot Meunier, 15% Pinot Noir and 25% Chardonnay and spent 2 to 3 years on lees. The champagne has plum and bready overtones. The Fleur de Prestige is 50% Chardonnay 40% Pinot Noir and 10% Pinot Noir with fresh tropical fruits and a creamier finish. The Grand Nectar is off dry tasting of cookies and jam with tiny bubbles. It was 60% Pinot Meunier, 25% Chardonnay and 20% Pinot Noir. Next up where the wines from Canard-Duchêne. I love a good story about Champagne House and this one has one. Victor Canard was tonnelier or barrel maker or cooper. He married Léonie Duchêne a winemaker and founded the house in 1868. Their house was granted the right by the Russian Imperial family to use their coat of arms on their bottles. This reminds me that a. Russians love Champagne and b. women were often vital to the industry. If you question that, just remember the Veuve Clicquot…. Canard-Duchêne Brut Authentic is a blend of 45% with the remaining grapes being Pinot Meunier and Chardonnay and expresses the essence of the house’s style. The bubbles are small, the taste like brioche if a bit bland. The Cuvée Charles VII is the premiere Blanc de Blanc from the winery. It tastes of peach and lycee and is creamy. I wonder what other bubbles I will encounter? !